One man show about Paul Robeson begins tonight Aug. 28. 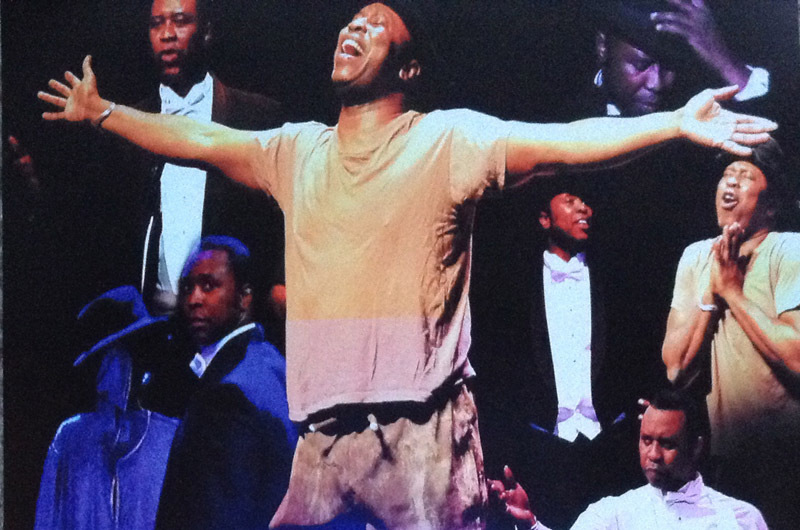 Tonight, August 28, is the opening of the one man show about the life and times of Paul Robeson. The show is being performed by Stogie Kenyatta at Union Chapel in Oak Bluffs and continues on Saturday with a matinee at 3 p.m. and an evening performance at 7:30 p.m. Tonight’s performance begins at 7:30 p.m. Mr. Kenyatta has been performing the show around the country and the Caribbean for years — last week he was in Santa Monica, Calif. The show traces Mr. Robeson’s life as an athlete, actor, singer, leader and speaker. There are even some moments for audience participation as the show visits Mr. Robeson’s many friendships including Albert Einstein, Cab Calloway, Langston Hughes, W.E.B. Du Bois and many others. For more information, visit stogiekenyatta.com. Tickets are available at ticketriver.com.